EPISODE 17 WITH BRYAN COOK & CELIA FINKELSTEIN! 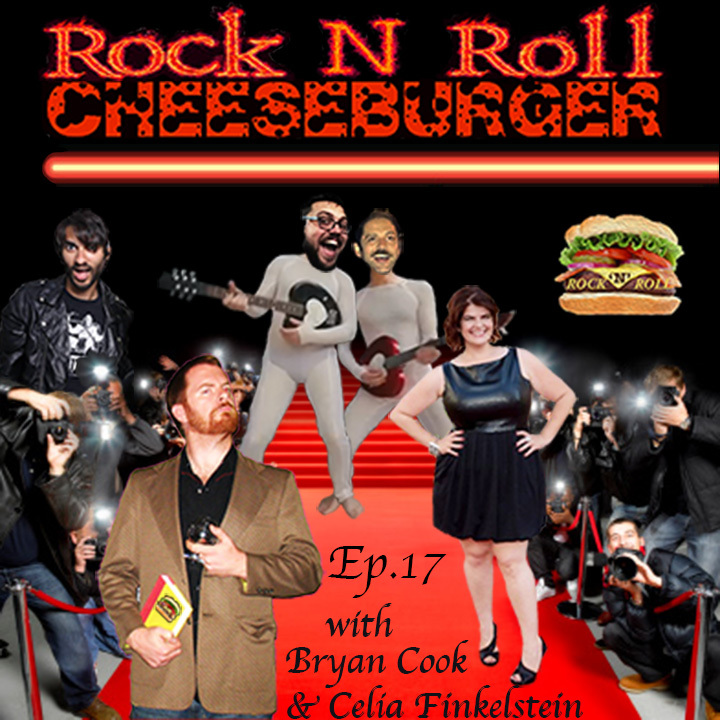 Rock N Roll Cheeseburger Episode 17! 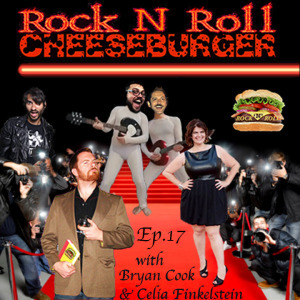 Beard master & English major Bryan Cook joins returning guest host Celia Finkelstein as we get back to our burgery roots in our first new episode of 2015. We crack beers as we talk Burger Technology, Gross Selfies, Sandwiches (DIFFERENT THAN BURGERS, YOU GUYS), and Kyle kinda freaks out about Umbrellas a little bit. We pump up the jamz with “Drones” by Ghost Idols, and a saxophone-heavy tune called “In The Sunshine” by the Dirty Cakes band. We revive one of our favorite to-dos with 60 Second Story Hour, and we hop around the terrible-radio-o-sphere in this week’s commercial parody segment, including some sweet mom raps! Oh, and we may have stolen the bodies of Alex & Stu from Warp Drive for this week’s image.